Today’s quick and easy card uses the Stitched All Around stamp set and coordinating Stitched Labels Framelits with a little help from the Stitched Shapes Framelits and the Botanical Tags Thinlits. It may seem like a lot for a quick and easy card, but once you have done the die cutting, it will be together in minutes. Use the lattice die on the top left and bottom right of a Mint Macaron layer and attach to a Blackberry Bliss card base. Die cut a frame using the Stitched Labels Framelits and Petal Pink cardstock and attach to the left lower half of the card. Die cut some leaves using Botanical Tags Thinlits and Old Olive cardstock and attach across the centre of the Petal Pink layer. 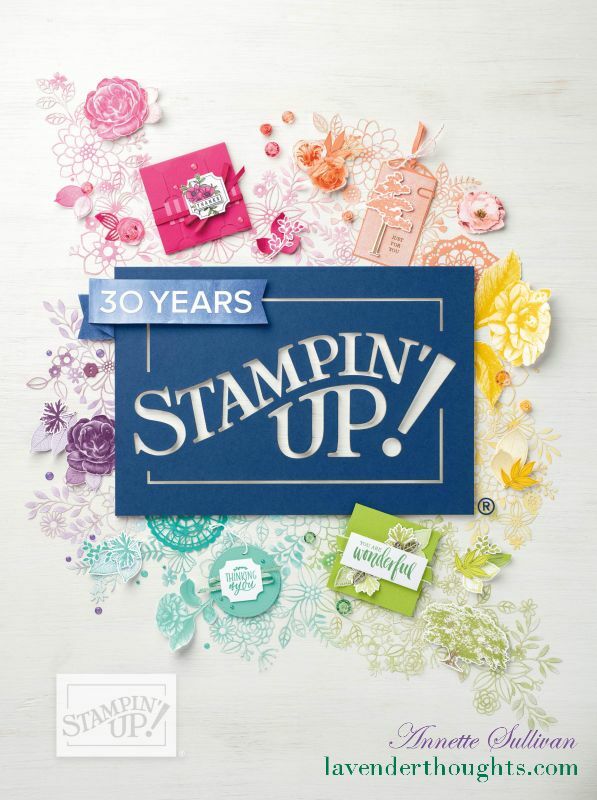 Stamp the sentiment on Very Vanilla cardstock with Blackberry Bliss ink. Die cut with a square from the Stitched Shapes Framelits and attach to the left side of the Petal Pink layer with Dimensionals.